As far as Italian art cities go, the headlines usually focus on flashy Florence, eternal Rome, glittery Venice, and vivacious Naples. But often overlooked Parma is a real charmer. Positioned in the northern region of Emilia-Romagna, a center of arts and central to everything, Parma rests between the Po Valley and the foothills of the Apennine range. It is also located along the ancient Via Emilia, the Roman road that ran the length of the vast valley from Piacenza to Rimini. Sliced in half by the Parma River, which lazily meanders through it, Parma is best experienced at a slow pace. Packed full of Renaissance glories, lush green spaces, and boasting dozens of museums and performing arts, Parma is slated to be the Italian Capital of Culture in 2020. And, as the nation’s culinary capital, it also has a delicious reason to be on your short list of retirement destinations. Most of the city’s life happens in the glorious historic center or the immediate periphery. Everything you need is close at hand, and the preferred mode of transport is the bicycle. The streets are a mix of cobbles and river stones with “tracks” paved on them for bikes. The perfectly-kept pastel buildings of the old town are punctuated by breathtaking piazzas and Renaissance palaces, giving you something to look at everywhere you go, and because it’s in the valley, and flat, walking is easy. Parma has a notable university that infuses the city with youthful vigor, but doesn’t overlook the more mature audience. There are cultural activities, concerts, and parks galore. The center of the city is the art-filled cathedral, home to many masterpieces, and its tall layer-cake baptistery next door. The Emilia Romagna region is known for its quality agricultural production, and out in the countryside you’ll see vast cultivated fields, fruit orchards, vineyards, and livestock. They fuel the famed producers of prosciutto, parmigiano, balsamic vinegar, and many other high-quality products that create some of the country’s most acclaimed dishes. Parma doesn’t experience extremes in terms of temperatures, tending instead to be humid year-round. Summers can get some very warm days, but average highs run in the low to mid 80s F. Winters bring rain and colder temperatures that average between 39 F to 45 F. Winter nights will likely dip below freezing. Italy’s national healthcare system is ranked at number two by the World Health Organization, giving you excellent medical care, whether you choose the private or public facilities that are available in Parma. There is a large, well-noted hospital along with smaller clinics, outpatient facilities, and privately-run specialists and clinics. Parma is a vibrant and sophisticated city that is consistently ranked as one of most livable cities in Italy. With a university to keep things youthful but also enough cultural pursuits for every age group, Parma is a city that appeals to a wide range of people. There are dozens of museums, dramatic theaters, gloriously decorated churches, and plenty of art, both classic and contemporary. Parma will hit a high note with music lovers, as it gave us Paganini, Toscanini, and Verdi, and serves up operas, and a fine philharmonic orchestra. With a population of about 190,000 the city is large enough to offer lots of services and small enough to walk across in around a half-hour. The city’s focal point is the grand Piazza Garibaldi with the art-filled cathedral, home to many masterpieces, and its tall layer-cake baptistery next door. 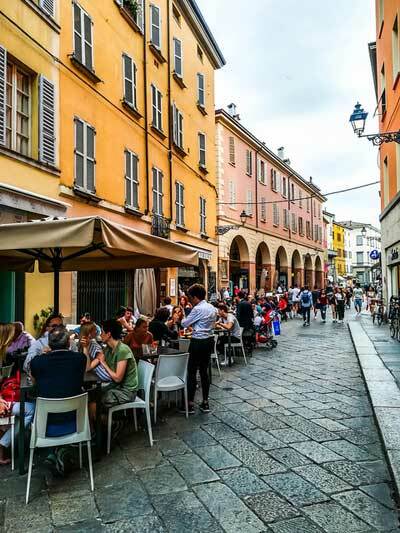 Sidewalk cafes grace the perimeter, and from here Strada della Repubblica unfurls, hosting antique palazzi and posh boutiques. But all over the centro storico (historic center) are clean, well-tended neighborhoods with piazzas, cafes, shops, and restaurants offering the gamut from humble trattoria to fine dining. Parma loves its aperitivo and Via Farini is the place everyone turns out for a pre-dinner drink, a few nibbles and a chat. It’s a carnival-like atmosphere nearly every evening with tables taking up space instead of cars, and the area’s wines flow freely. With decadent filled pastas like tortelli, fresh-made strands of tagliatelle swaddled in rich meat sauce, and wine-stewed meat dishes, Parma is made for gourmands. Dreamy well-aged cheese, melt-in-the-mouth prosciutto go nicely with the selection of locally produced frothy wines. Parma is graced by an unusual amount of green space; the spacious Parco Ducale is a revered favorite, right in the middle of the city, but there are others scattered around town. The city gives way quickly to the countryside, and going south, to the foothills of the Apennines. All around the area, stately castles appear, looming over trees and lending historic allure to country outings. The castles collectively comprise a UNESCO World Heritage Site. 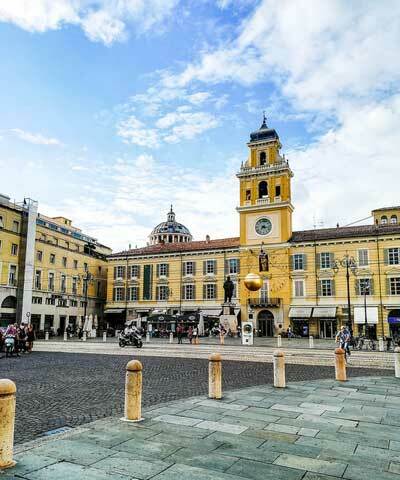 Parma offers good transportation options with rail lines running to all the main cities in the region and beyond for easy access to all of Italy. Regional buses reach the smaller towns of the area, and the airport provides a handful of flights around Europe, while around 90 minutes away, the larger airport in Bologna provides you greater reach. Despite its ranking among the top five most livable cities in Italy, prices here aren’t astronomical. Current listings show nice rentals in the city center ranging from $585 for a smart one-bedroom apartment up to $1,522 for a penthouse-type apartment in a palace with frescoed ceilings. Expect to pay between $800-$1,000 a month for a spacious home in the center. Real estate prices in the centro storico run the gamut from $114,000 to $1.4 million. Expect to pay upwards from $221,000 for an average city apartment. Apart from housing costs, Parma carries a moderate cost of living. The prices of produce and groceries are on average with the rest of Italy, and while there are Michelin-rated trendy restaurants, you’ll just as easily find an affordable trattoria for a meal out. Plus, you have a selection of prosciutto and cheese at enviable prices. In a food town like Parma, you’ll naturally want to dine out to sample all those delicacies. You can enjoy a full carefully crafted meal in a notable restaurant made from regional products with a good local vintage for about $200 for two, perfect for those evenings at an art opening or the theater. But there are plenty of budget-friendly options for normal days. A trattoria meal of pasta with a glass of table wine is a reasonable $20, while a pizza and beer will run you just $13. Like most places in Italy, an espresso will cost you about $1 while a cappuccino is about $1.50. 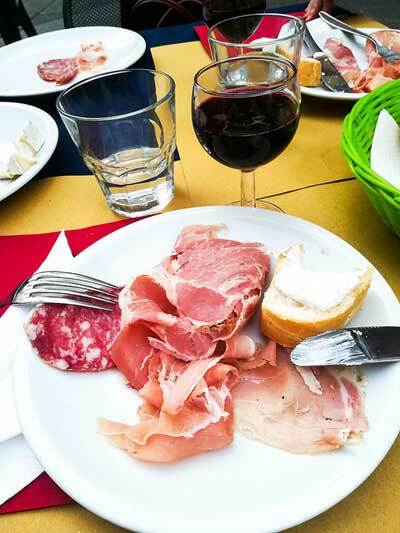 Parma loves its aperitivo tradition, so that pre-dinner drink in Via Farini is a fun way to wind down the day, and a drink with nibbles will cost you only about $10. A bus ticket around town is $1.39 while a monthly bus pass is $34.68. A train trip to Bologna costs $8.40 one way, while the 90-minute trip to Milan will cost you about $15.